Would love some feedback on my situation. I know there are a million posts like mine, but sorting through all of the different responses leads me in different directions. Also curious if people think it is worth it to apply to the defer programs. Does applying and not getting in look better in 4 years than not applying at all? •	I’m a senior at a highly ranked liberal arts school with a 3.82 and will be working for a bulge bracket bank in July. •	I used to play a varsity sport and after an injury have become very involved on campus and in the community. •	I haven’t taken a math course since high school (I am an econ major though) so I spent a full day going through that first math intro section in the OG book. •	My current scores will probably get my 2+2 applications gently placed in the recycling bin, but I’m looking to secure good scores (720+) so I can be competitive for the top 10 MBA programs. •	I have a few family friends who went to Harvard or Wharton but half my family didn’t go to undergrad, so uphill battle there. First go around I totally underestimated how short 8 minutes was and lost 11 seconds on a section because of that. I also took Adderall before both tests, which I don’t usually take, and I’m wondering if that element tanked my quant score in some sort of moral retribution or because it made me hyperaware, I don’t know. Both times I basically ran out of time on the quant section, which is usually not a problem for me, but I think the increased pressure made me dwell more on questions I probably didn’t have a good shot at. The feeling I had during the two tests were basically the complete opposite. The first test I was nervous and thought I bombed the verbal section which frustrated me as I moved into quant (turned out I did well with verbal and then bombed quant). The second test I was jacked up and ready to go and honestly thought I was going to see a 720 pop up on the screen and was demoralized when I saw another 680. •	I feel like Kaplan helped me with verbal and with knowing better math strategies for problems. Ultimately on test day my quant score left a lot to be desired, which is frustrating because typically when I review the quant section of my practice tests with a second look, I can do almost all the problems. •	All kidding aside, I genuinely feel like with targeted help and some time I can get a 730 or at the very least break 700. With the plethora of options, it’s hard to know which would be right for me and if they’re even worth it or what I should be doing. Any help or guidance would be greatly appreciated if people had a similar situation to mine. If you made it this far: The Kaplan channel has some great videos but once you've watched them, you've kind of exhausted your resources. Focusing on really hard problems before you're at the level is a bit foolhardy in my opinion since you may not see those questions and might confuse yourself on simpler problems. Flashcards can be helpful, but weren't totally my style. Bring snacks and a water to test day and during your break jump around and stretch- you're probably never going to see anyone there again who cares if they think you're weird! 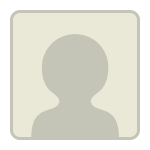 Originally posted by mpc21 on 27 Mar 2019, 08:31. Last edited by mpc21 on 28 Mar 2019, 16:38, edited 1 time in total. Hello mpc21 ... welcome to the community. GMAC has publicly stated that the Official Score that you earn on Test Day is within +/- 30 points of actual ability. Assuming a similar 'swing' in how your CATs function, your recent CAT scores - along with your 2 Official Scores - show that you essentially performed the same each time (about 660 +/- a few points). You handle certain aspects of the GMAT consistently well, but you also make certain consistent mistakes. 1) How long did you study before each of your 2 Official attempts? Wow! You deserve my admiration for formatting the post so well - that's your first post too! You even figured out the bullets. Bravo! It is a pleasure to reply to a beautiful post like that. 680 is a great score to start. The materials you are using are likely what's missing and what the problem is. It is not you. OG is just a bunch of questions so it teaches you nothing (deadweight). Kaplan book maxes out at 650 (it is like a Jetta, not a sports car), and finally MGMAT advanced Quant is like aviation 100 Octane fuel - toxic and volatile. You mix those three together, I am surprised you walked away with a 680. You can do a few things but the way I see it, you need to bump your quant and protect your Verbal. So, to bump your Quant Score, I would suggest either getting the MGMAT Books or taking a Quant-focused course such as TTP or EMPOWERgmat. Both are available on a monthly subscription basis and are under $100/mo. Depends if you prefer online instruction or books. You can also consider getting the MGMAT Math Foundations if you feel you will need some extra help brushing up. However, the MGMAT Bundle is not for the meek - it is 9 books and close to 1,500 pages - you may need that firepower for Verbal but you will need it for quant. P.S. Don't do ANYTHING new on the test that you have not done on your practice test. The test day should NOT be the time you try new drugs, new snacks, new shoes or a new morning routine. Your test day should be the most boring day of your life. You should explore nothing and try nothing - just do what you have been practicing. Otherwise, what's the point of practice? P.S. You are very close. You are young too so you can study quick, absorb fast, and retain a lot! That's enviable to many of us. Good Luck! And thanks again for taking your time to format the post and spell out the details. I’m glad you reached out, and I’m happy to help. So the good news is that that a 680 is a great start! That said, it’s clear that math is really dragging down your score, so if you are able to improve your quant skills, you can get one heck of a GMAT score. So regarding HOW to improve your GMAT quant skills, moving forward, you should take a structured and linear approach to your prep, so that you can individually learn each GMAT quant topic and practice each topic until you’ve gained mastery. By learning in such a way, you can ensure that you are methodically improving your GMAT quant skills and ensure that no stone is left unturned. Let me expand on this idea further. Let’s say you are learning about Number Properties. First, you should develop as much conceptual knowledge about Number Properties as possible. In other words, your goal will be to completely understand properties of factorials, perfect squares, quadratic patterns, LCM, GCF, units digit patterns, divisibility, and remainders, to name a few concepts. After carefully reviewing the conceptual underpinnings of how to answer Number Properties questions, practice by answering 50 or more questions just from Number Properties. When you do dozens of questions of the same type one after the other, you learn just what it takes to get questions of that type correct consistently. If you aren't getting close to 90 percent of questions of a certain type correct, go back and seek to better understand how that type of question works, and then do more questions of that type until you get to around at least 90 percent accuracy in your training. If you get 100 percent of some sets correct, even better. Number Properties is just one example; follow this process for all quant topics. To study in this way, you may need some new quant materials and, as already has been mentioned, Target Test Prep could be a great resource for you. We are the top-rated quant course here on GMAT Club and offer a full-access 5-day trial. If you have any questions regarding the course, feel free to reach out to me directly. 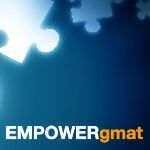 Also, you may find it helpful to read this article about How To Increase Your GMAT Quant Score. I also took Adderall before both tests, which I don’t usually take, and I’m wondering if that element tanked my quant score in some sort of moral retribution or because it made me hyperaware, I don’t know. It's a good bet that the Adderall affected your performance negatively. If I recall correctly, in one case, Adderall seemed to block a person with whom I was working from doing the type of creative thinking necessary for answering harder GMAT questions. Anyway, regardless of whether Adderall really had that effect on that person, or on you, it stands to reason that suddenly changing the dynamics of your neurology to a state that you are not accustomed to could throw you off and have a significant deleterious effect on your performance.